Some New Haven residents were fed up with a dangerous intersection near Yale University, where repeated requests for a crosswalk had gone ignored. So one night last May, they painted a zebra-striped crosswalk on Whitney Avenue near Audubon Street. But public officials worried pedestrians wouldn’t be visible to motorists cresting a rise right before the intersection. The crosswalk was removed by the city shortly after it was installed, according to the New Haven Independent. But two city residents, Erin Gustafson and Doug Hausladen, saw the value in the guerrilla action. Gustafson, who works nearby, noticed cars stopping and letting pedestrians cross. 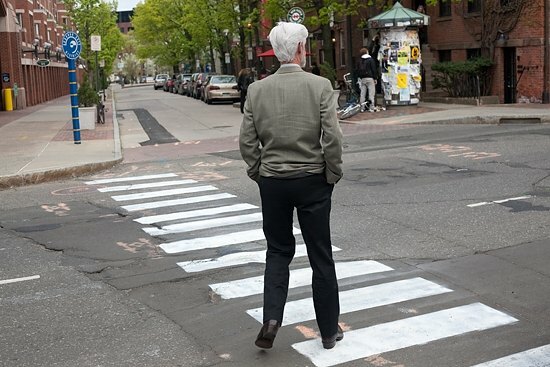 The city of New Haven’s Complete Streets Manual offers a project request form that enables local residents to ask for safety improvements, so Gustafson and Hausladen formally appealed to bring the crosswalk back. The dangerous crossing won’t be a worry any longer. As it happened, the city was working on a safety fix for the intersection at the same time as Gustafson and Hausladen, New Haven DOT chief Jim Travers told the Independent. The city will construct a raised intersection costing $320,000, with Yale chipping in $150,000. The crossing will be narrowed with landscaped bumpouts and the whole intersection will be rebuilt at curb grade to increase visibility and slow drivers. 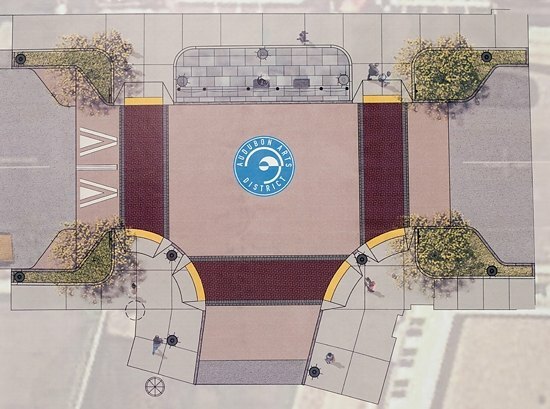 It will include three crosswalks, each marked by a synthetic material meant to resemble bricks. Hausladen, who has since been elected an alderman, said the project makes an important statement beyond its many thoughtful details. “This is about reordering priorities on our streets,” he told the Independent. This is all very well, but I was in New Haven a couple of weeks ago, and was astonished how pedestrian-unfriendly it is, even in downtown. Virtually all intersections have buttons for pedestrians to push if they wish to cross the street, a clear signal that cars have priority and that pedestrians are not the norm. Bicycle infrastructure is close to nonexistent; I did see one “Share the Road” sign, but nary so much as a sharrow on the street. And walking from the train station to downtown requires you to cross a busy, wide areterial, and pass under a highway exit ramp. Probably would have been more cost effective to install stop signs, and warning signs of a pedestrian cross walk ahead — you know those blinky signs they have in school zones. 4-way stop signs that is.